Where have you been?! No email. You didn't text me. Not a clue on your blog. You didn't update your status on Facebook. It's like you fell off the face of the Earth! Oops, sorry... Upstairs. Going to the bathroom. Be back in 5. — David Horsey, copyright 2009, Tribune Media Services. Don't you find today's communication realities a bit ironic? In this day and age of all different types of communication methods and all kinds of electronic devices to use to communicate, often we are still very bad communicators. We need air, food, water and sleep to survive. We also need good communications for our relationships to survive. So, words are not all that important, right? That's not what I am saying. It's sure not what the Bible teaches (James 3:1-12)! These are all small objects, yet they control something much larger. Our tongue is a little thing that can have a big impact. The use of our words can have both good and bad impact on the lives of those around us. We have to be very careful how we choose and use our words. 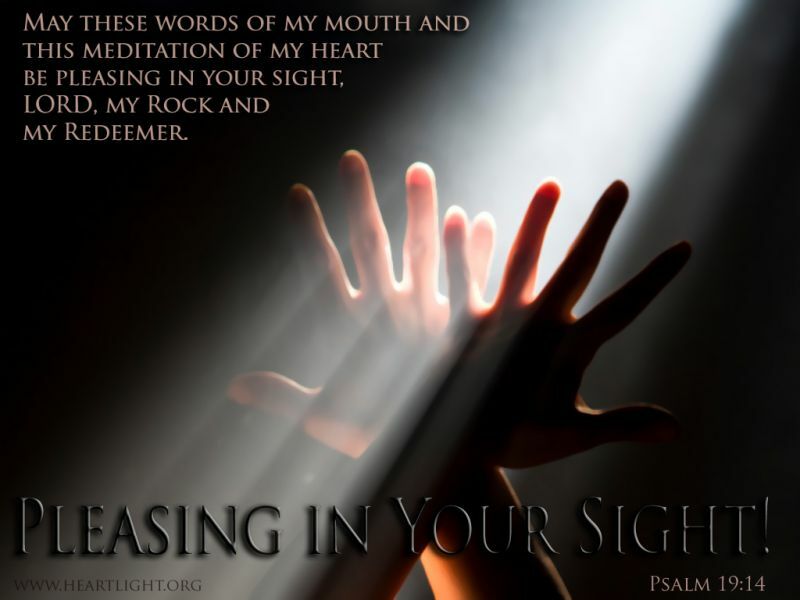 Our words have great power to harm or heal, to build up or tear down, and to teach or to lead astray. It is difficult not only to say the right thing in the right place, but far more difficult to leave unsaid the wrong thing at the tempting moment. This principle of learning what not to say really applies to marriage. We know the most intimate and vulnerable details about our husband or wife. We have the power to say words that can hurt them in ways no one else can hurt them. So, in some cases and maybe even in many situations, silence communicates love. 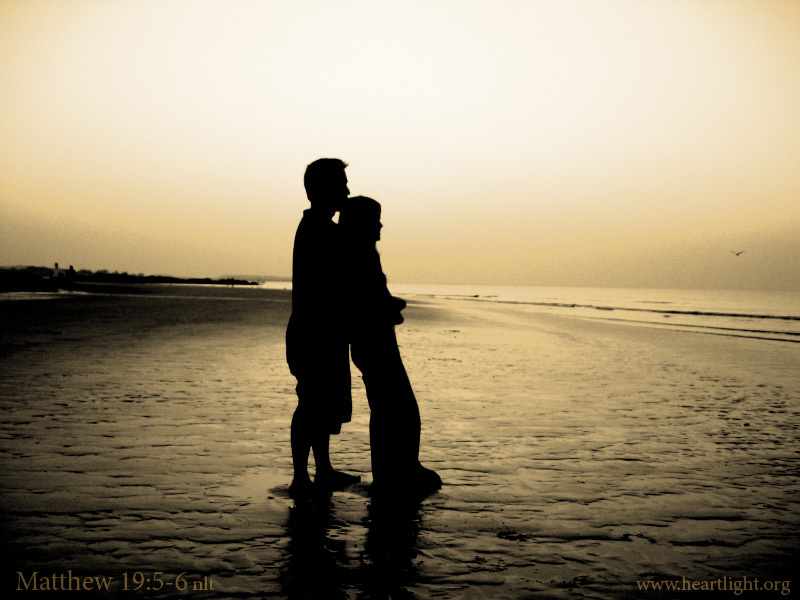 We learn to leave unsaid what could win the argument, yet wound our spouse or break that loved one's heart! One clear way to bless those we love is to leave unsaid what does not or should not be said! We need to consider how our conversations communicate! Another principle of using our words involves the tone we use when we speak. The tone we use in speaking usually communicates the passion level and anxiousness that we feel at a given time. I wish we had recordings from the time of Christ, especially when Jesus overturned the money changers' tables (Matthew 21:12; John 2:13-19). I would love to be able to hear the tone he used in the Temple with those defiling the Father's house! Our tone is a giveaway about how serious we are about the subject we're discussing. Sometimes we let our tone get too loud on silly little issues that should be forgotten by the next day. However, our volume and tone can hurt and do harm in our relationships that can last for years. The third factor in our communication involves our body language and non-verbals. Interestingly, the most profound way in which we communicate with others is through our non-verbal clues. We say so much non-verbally. Our jaws clenching, dropping our eye contact, our smile fading, and our body stiffening can communicate so much more than the words we choose. These are just some of the "tells" we transmit to others our displeasure or disdain, regardless of our words. These "tells" pass on a lot of information about our true feelings. Remember the sinful woman from the city who came to Jesus and she began to wet His feet with her tears? She wiped Jesus' feet with her hair, kissed them, and poured expensive alabaster jar full of perfume on them (Luke 7:38). The love, the contrition, the yearning to thank Jesus for His forgiveness... what an amazing example of the power of non-verbal communication! Our fourth, but not least, component in the way we communicate our love and concern is through what is often called "active" listening. Active listening is listening not to answer, correct, or dispute what a person is saying to us. Instead, active listening is searching for their meaning in what they have said to us. Active listening reaches beyond our language and the words that are spoken. It works at getting clarification of what another is saying from his or her heart. It is a commitment to make sure we understand exactly what has been said — all the information, emotion, and urgency of what is being said. An example of active listening in the Bible is the way Nicodemus asks for clarification of what Jesus says, "Very truly I tell you, no one can see the kingdom of God unless they are born again" (John 3:3). Nicodemus, who is actively listening, asks Jesus to clarify: "How can someone be born when they are old? ... Surely they cannot enter a second time into their mother's womb to be born!" (John 3:4). After explaining to Nicodemus through a series of clarifying questions about what Jesus means when He talks about being "born of water and Spirit," they eventually get to the bottom line of Jesus' life and message. In one of the most quoted verses in all of the Bible, Jesus explains that God had sent HIM as the Son to give His life and to save the world (John 3:16-17) so that others could have this new life. 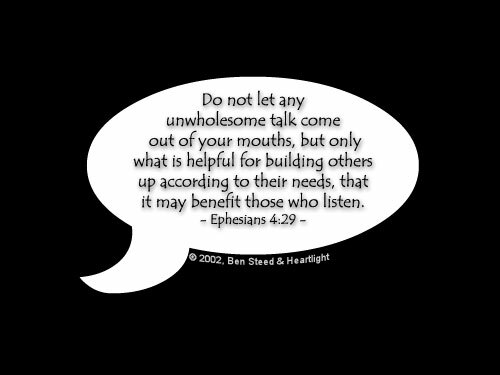 Do not let any unwholesome talk come out of your mouths, but only what is helpful for building others up according to their needs, that it may benefit those that listen (Ephesians 4:29). Can you imagine how different our world would be if more people tried to understand what others needed to hear before they spoke? Oh, what blessings would come to the lives of others! Think of the blessing we would all receive when the words we hear from those we love are all chosen to benefit and to build up us! Today's the day to start with a renewed, God-ordained, focus for our speech! I hope you will join me in my efforts to use the words I speak to bless and build. I am going to be more alert to the way I choose my words. I'm asking the Holy Spirit to help me know when not saying something is most important to the person I love. I'm going to check the tone of my messages as I chose my words. I am going to be careful about the way I communicate with my non-verbal messages. I am going to actively listen to everyone with whom I come in contact, especially with my family. This way, I hope I can truly communicate the love, the care, and the concern that I have for them through all the communicational components of conversation. How about you? Are you preparing your mouth for marriage and beyond? Let's encourage each other to use our speech to filter out harmful messages, to clearly communicate our heart, to bless others, to heal with our words, and to encourage others in ways they need. Loving communication is a key part of what it means to live together in His grace! Next Month, Barriers to Effective Communication! "To Benefit Them!" by Byron Ware is licensed under a Creative Commons License. Heartlight encourages you to share this material with others in church bulletins, personal emails, and other non-commercial uses. Please see our Usage Guidelines for more information.